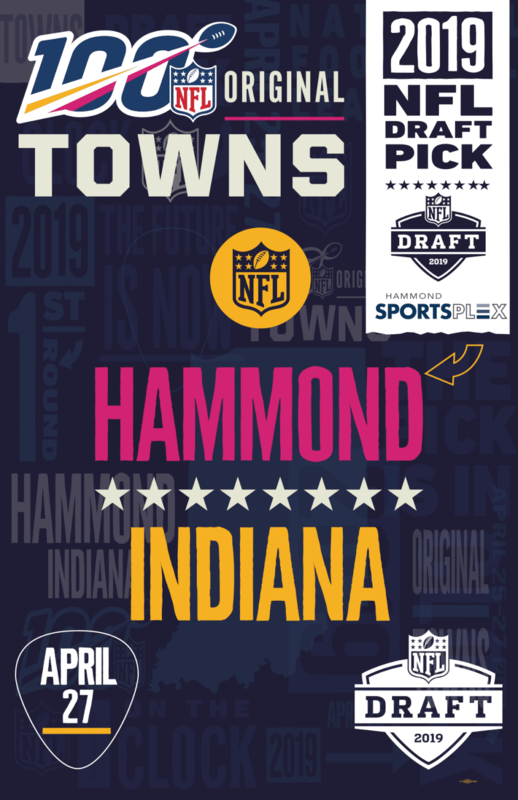 During the 2019 NFL Draft, selections from Hammond and 7 of the league’s “Original Towns” will be made live in the draft telecast. Hammond’s draft day event will take place at the Hammond Sportsplex 6630 Indianapolis Boulevard with Mayor Thomas M. McDermott, Jr. making the draft announcements at the podium. Gatorade will be sponsoring a kids combine on the indoor soccer field, food and other fun activities during the free and open to the public event from 1-5 p.m on April 27th at the Hammond Sportsplex. “Hammond has a rich sports history and being an original NFL city is something no other city or town in Northwest Indiana can claim. 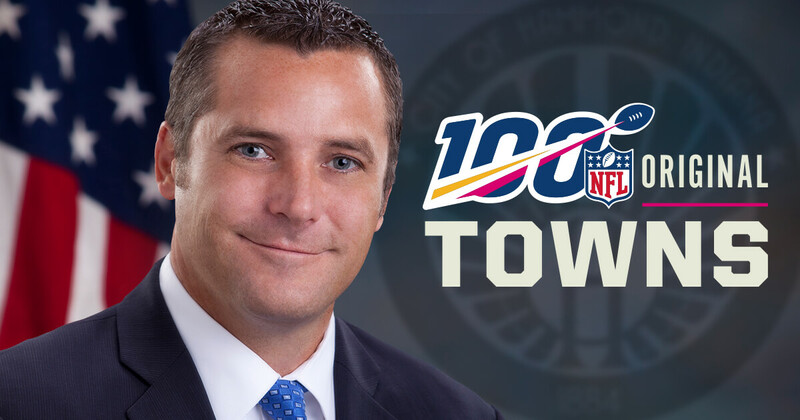 We’re very excited to be partnering with the NFL and bringing this event to the Sportsplex on April 27th,” said Mayor McDermott. The Hammond Pros were owned by local boxing promoter Dr. Alva Young, who was well known in Hammond and Chicago athletic circles for boxing, horse racing, and football. The Pros predecessor, the Hammond All-Stars played for a few years against other professional teams when Dr. Young was invited to the now famous meeting in Canton, Ohio and given a charter for the Hammond Pros to be part of the new National Football League. The Pros original game in Canton drew over 10,000 fans and convinced the owners there that the league could be viable. The Pros first team featured George Halas at wide receiver before he left the next season for the Deacatur Staleys, soon to become the Chicago Bears. The Pros also had the NFL’s first African-American coach Fritz Pollard as well as six of the nine African-American players in the original league and was an example of diversity and inclusion in a time when other teams and sports had not been integrated. The Pros lasted for seven years before the NFL scaled down to 12 teams. The original team charter can be viewed at the Hammond Sports Hall of Fame at the Hammond Civic Center.